Save as much as 50%! It's Rai Rai Ken RAMEN FESTIVAL! 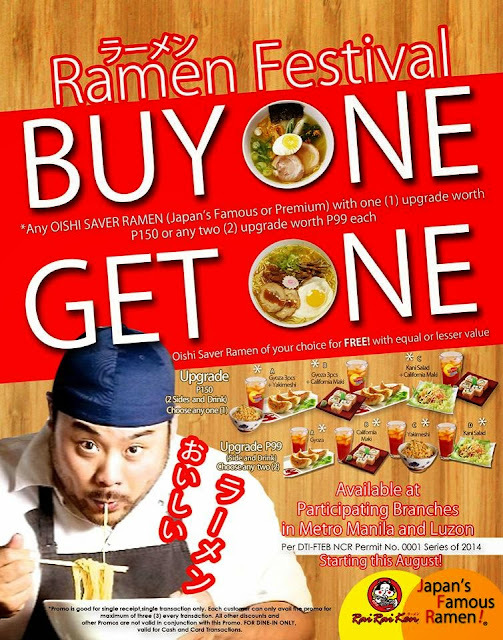 Buy one any Oishi Saver Ramen of your choice plus any one (1) Upgrade worth PHP 150 or any two (2) upgrade worth PHP 99 and GET ONE FREE Ramen of your choice (must be equal or lesser value).